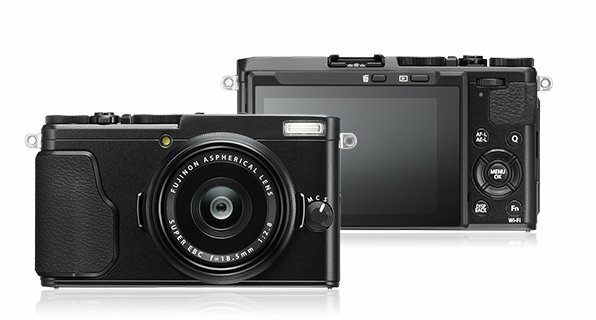 Fujifilm X70 is a small and light fixed focal length camera with powerful features at an attractive price point. 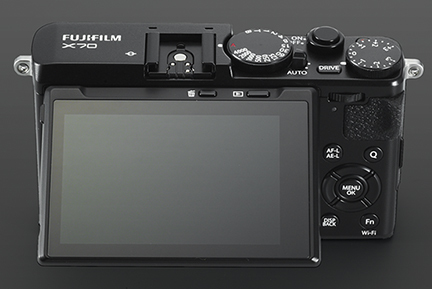 It uses the same EXR II image processor and APS-C X-Trans II sensor as the high-end X-T1 model. Fujifilm has recently expanded its widely praised X-series range of traditional looking cameras. Fujifilm X70 was released at the beginning of 2016 together with the X-ES2 and the X-Pro2 models. Fujifilm has developed a new 18.5 mm wide angle lens specifically for this model. It’s a fixed f/1.8 28 mm FUJINON lens (35mm equivalent). The short minimum focus distance of 10 cm enables one to get up really close to a subject for macro photos. The camera works well in low-light conditions and offers high-sensitivity to ISO 51200. Noise at these high-sensitivity level is minimised through a redesign. The X70 is really compact with the dimensions 11.25 x 6.44 x 4.44 cm and fits in larger pockets. Selfies. It’s straightforward to take a selfie using the X10 by flipping the flip up 3-inch LCD touch screen 180 degrees. The touch screen also allows users to select a focus area by touching the screen. USB charging. The first camera in the X-series that offers this feature. The X70 is only slightly larger than a compact camera yet its features and performance rival that of the mid-range cameras. The current retail price in NZ is $1,077. Other X-series models are more expensive. For example, the top-end model Fujifilm X100T costs $1,510 including shipping. Hence, the X70 offers good value given that it contains many of the more expensive models’ features, but at a lower price.